Oral-B 7000 SmartSeries Rechargeable Power Electric Toothbrush with 3 Replacement Brush Heads — Just $79.99 shipped!! Amazon has this Oral-B 7000 SmartSeries Rechargeable Power Electric Toothbrush with 3 Replacement Brush Heads for just $79.99 shipped as a Black Friday Deal today! 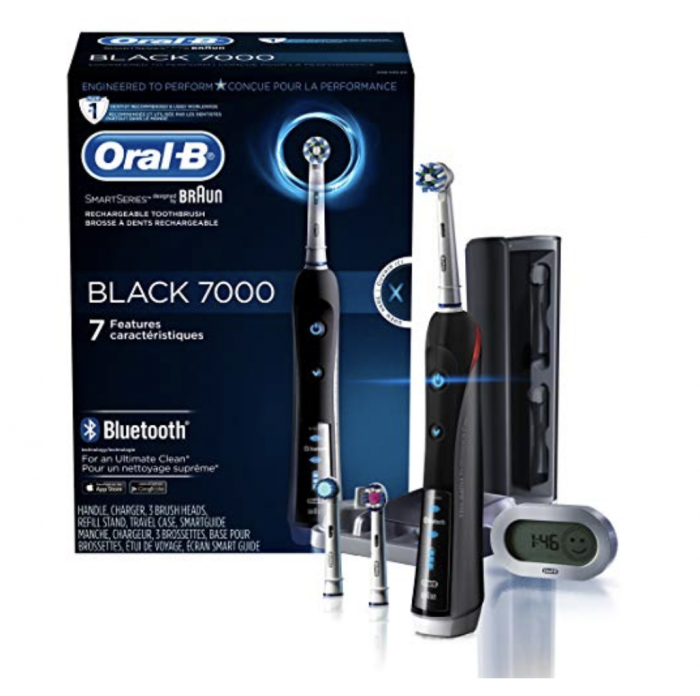 This is a HUGE price drop on this high-end quality electric toothbrush. We’ve never seen it this low before! Don’t forget!! All Amazon orders ship FREE with no minimum until Christmas! If you want a guaranteed faster shipping speed, you can sign up for a free trial of Amazon Prime to get free 2-day shipping. Looking for more Black Friday Deals? You can go here for all of the best online Black Friday Deals as we live blog them all week long! You can also see all the in-store Black Friday ads here. Also, be sure to join our Deal Seekers Facebook group so that you don’t miss out on any of the hottest, time-sensitive deals as soon as they go live throughout the rest of the holiday season! « Echo Black Friday Deals! Previous articleToastmaster Small Kitchen Appliances for just $2.14 shipped after rebate! Next articleEcho Black Friday Deals! LectroFan White Noise Machine just $32.47 shipped!